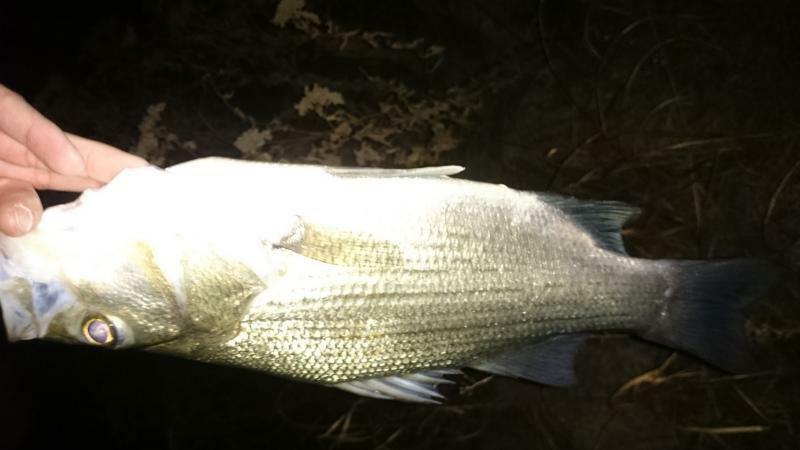 Register Log In Texas Fishing Forum Forums Whites - Hybrids - Striper Fish identification: Striper, hybrid, or white bass? I was raised in Kansas, they have a number of things twisted and turned ! What else would one expect from a populous that clicks their heels together , hoping for a miracle ! There called Wipers in Colorado when I moved down here took me a bit to get used to Hybrid in fact I thought I was not find Hybrids when all along I was! I'm still a little confused. What are these 2 above? Also is the tooth patch always accurate? Last edited by jbobo; 11/10/17 05:52 AM. The one laying on the deck is absolutely a hybrid. 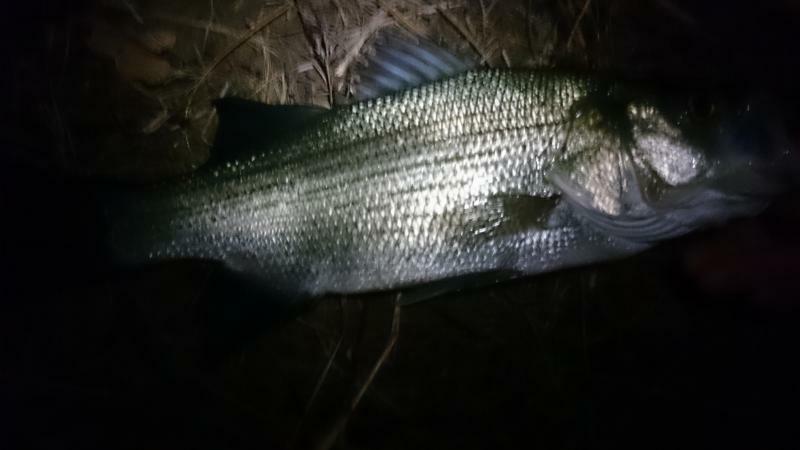 The you're holding looks like a sandbass, but hard to say for sure at that camera angle. The green fish laying on it's side is dinner. I will say, I've been looking at the tooth patch but i'm still worried. 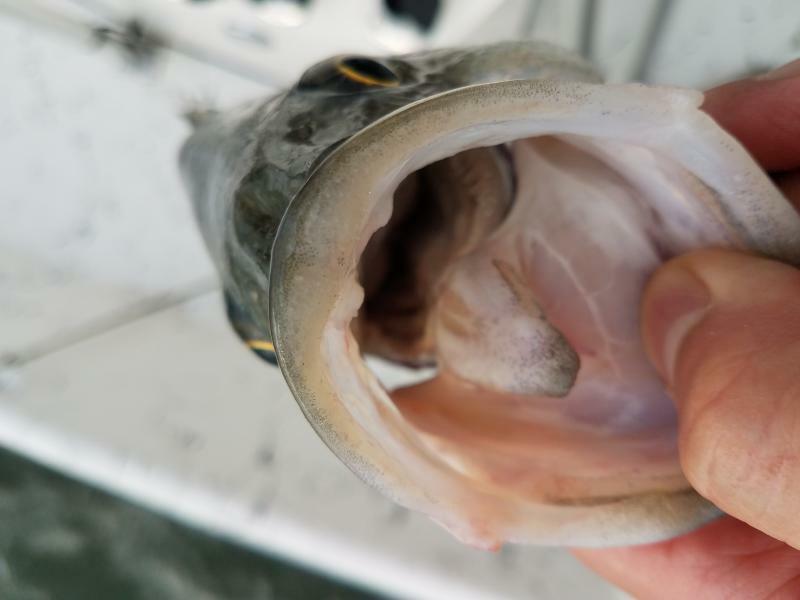 One fish had one patch that was oval-heart shaped (if that makes since), but the stripes looked more solid and had 3 or 4 going all the way to the tail, instead of just 1, so i let him go. I did keep him on the boat hoping to ask someone at the boat ramp to help me but no one was around (risky but i'm trying to learn). is this a white patch?? Look at the TPWD rule book. A hybrid has two distinct tooth patches. A sandbass has a oval glob I will call one tooth patch. Is it possible to have a hybrid with one patch?? Might be possible, not sure. If it is short and it looks like you have three lines to the tail, toss it back. conservative move! In Iowa, they call them wipers instead of hybrids. I downloaded your photo and enlarged it as much as I could. Unfortunately, there's not enough resolution on the photo to tell if the tooth patch is split. But I've circled the patch you should be looking at. On medium to keeper sized hybrids, you'll see a very distinct split or separate patches. 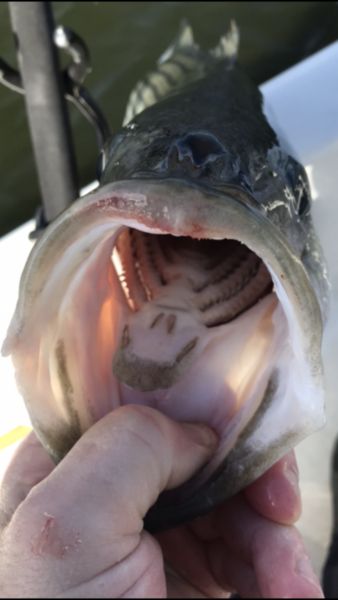 This is a hybrid with 2 elongated tooth patch. Hope you guys can see it. One more tongue patch for good measure, I just happened to think about this when I reeled it in. 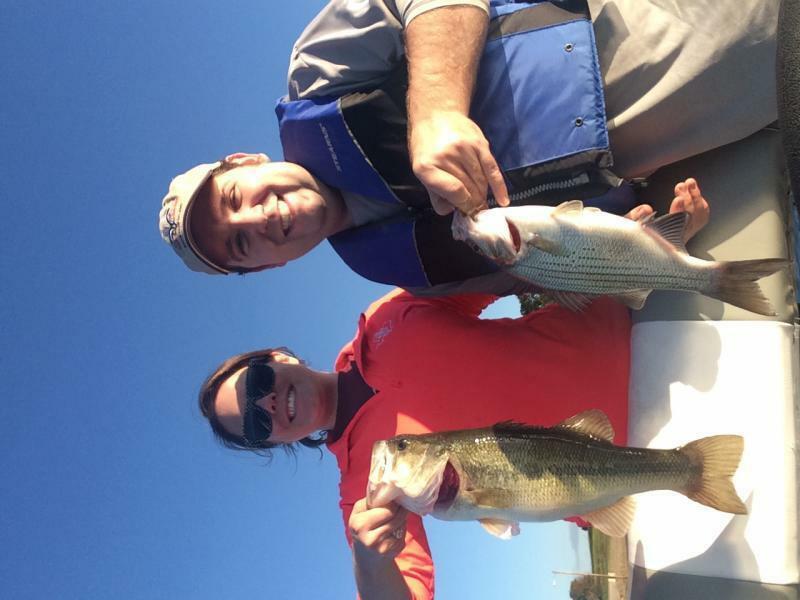 7.85 LB fish. Great pics guys, thank you. 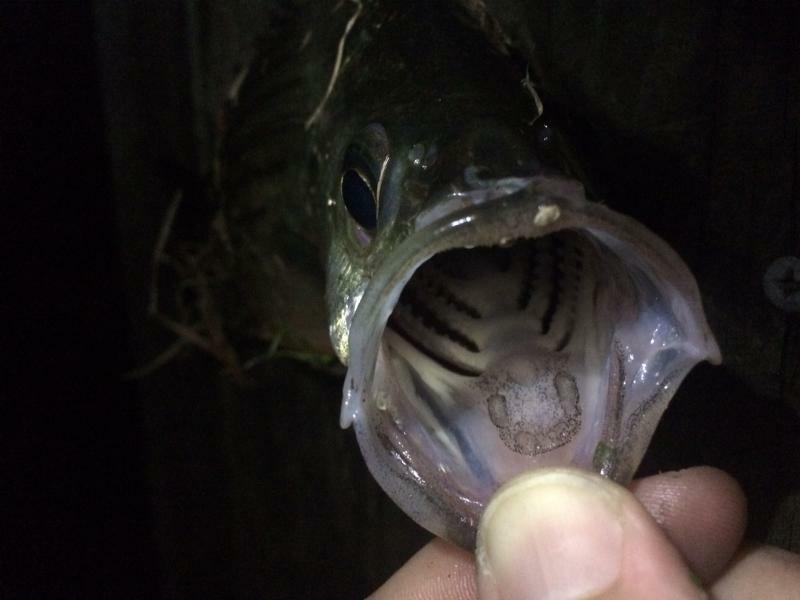 What type of fish is this? 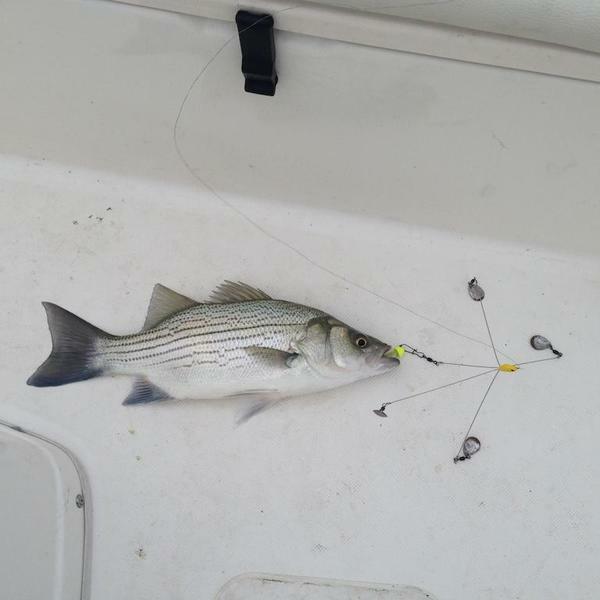 White, Hybrid, or Striper? 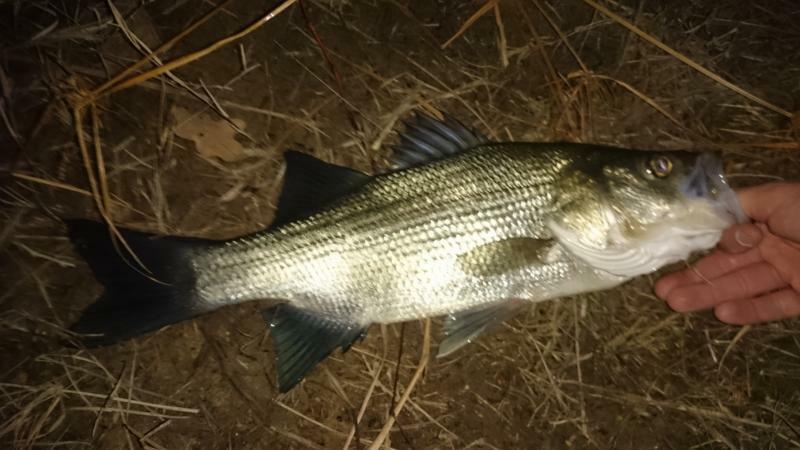 Caught at Lake Grapevine, 1.71lb. It was dark so I couldn't get too great of a picture.